What the closure of small schools like Mount Ida and Newbury College means for the city's education system. By Michael Damiano·	 1/29/2019, 10:36 a.m.
Just after noon on April 6, the cafeteria at Mount Ida College in Newton was buzzing with hundreds of students sitting down for lunch. Suddenly, a chorus of phone pings began to sound throughout the hall. Mount Ida president Barry Brown had just sent mass emails to all students and staff. “Important Announcement,” the subject line read. As students tapped the notification on their phones, an eerie hush settled over the room while they read the message in unison. The email’s language was vague, but several lines leapt off the phone screens as if in 3-D. In Boston, Mount Ida’s sudden closure sparked a different kind of frenzy. Attorney General Maura Healey opened an investigation. State senators rigorously questioned the board of trustees chair. Reporters, radio heads, and bloviators of all stripes hung on to every new detail coming out of Newton. Each person had their own angle, but all shared a singular question: How could this have happened? It seemed incomprehensible that a 119-year-old school could terminate its staff and put approximately 1,000 students on the street with just a few weeks’ notice. The dirty little secret in higher education, though, is that what happened at Mount Ida was not an isolated event, but merely a painful example of a slow-moving emergency that is overtaking American universities—one that will only get worse in the coming years. These days, being America’s college town is starting to look like one of our greatest liabilities. 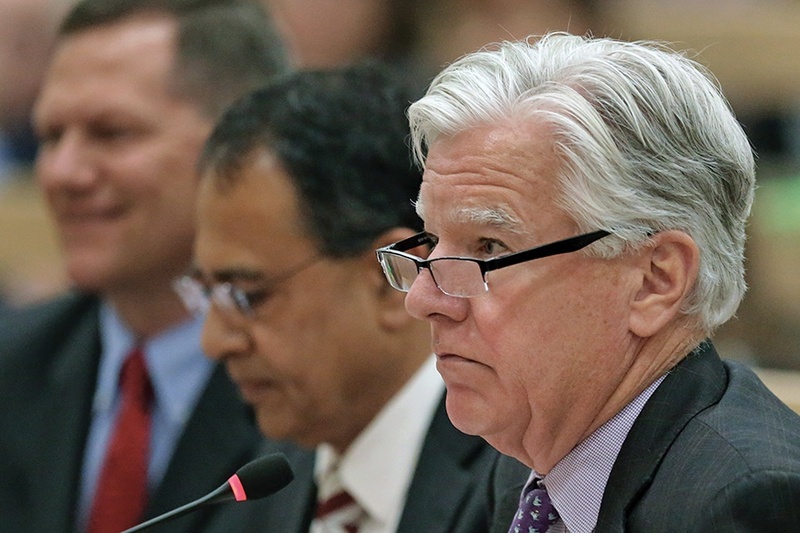 Miles away, University of Massachusetts president Marty Meehan saw an opportunity. The school quickly snapped up Mount Ida’s real estate, assumed its $75 million of debt, and guaranteed Mount Ida students acceptance at the UMass Dartmouth campus. Meehan viewed the deal as a “remarkable value.” Yet Mount Ida’s closure still left him deeply troubled. It seemed to confirm his fears about the future of higher ed. “Ultimately, we’re going to have far too much capacity and not enough demand,” he told me, adding that he felt as if he were standing at ground zero of a growing crisis. To be clear, prestigious universities such as Harvard and MIT, the ones with endowments the size of a small country’s GDP, are virtually immune to pressures of the downturn. But as you descend the higher ed food chain, things look increasingly grim. By the time you get to the smaller, lower-ranking schools—that is, the majority of higher ed institutions in New England—things really get ugly. These small colleges are the ones facing an imminent risk of collapse, and faculty and administrators around Boston are constantly whispering about which will be the next to go. It might be tempting to think this is a crisis that affects only higher ed, but that couldn’t be farther from the truth in Boston, where it is arguably the linchpin of the entire economy. The industry accounts for more than 165,000 jobs and nearly $11 billion in revenue in metro Boston, according to data from Emsi, a labor-market data firm. But even those figures vastly understate its importance to the economy. Higher ed is the foundation that supports even bigger Boston industries, including healthcare and tech. Then there are the students: around 374,000 (as of 2017) of them pouring money into the local economy through everything from off-campus rentals to concert tickets. Once they graduate, they become even more valuable. Around half of graduates stay in the area, becoming our workforce and tax base. College is the only industry whose customers turn into residents, says Jonathan Rothwell, an economist with Gallup. In other words, if universities can’t get their act together, one of our most important and iconic industries will be headed for a crisis that will send shockwaves throughout the entire local economy. Being America’s College Town is still Boston’s greatest laurel, but these days it’s also starting to look a lot like one of our greatest liabilities. The end of spring semester is normally the time when college students are rushing to class, enjoying the last parties of the school year, and upping their library time to cram for finals. But last April, students at Mount Ida had their minds on far more pressing matters, like finding a new college. Meehan was also struck by the sense of desperation. “I was amazed at the number of small private colleges offering free tuition or deep discounts to any of these students as long as they would come and take a bed,” says Meehan of the schools. Bringing in students who could pay rent for dorm rooms—even if they didn’t pay a nickel in tuition— would at least stem the schools’ hemorrhaging losses. The whole scene reeked of infomercial pitchmen trying to unload surplus goods. You just pay shipping! Or housing, as it were. It was a rare window into the desperation of the times—and certainly not what colleges want you to see. Schools prefer to cash in on the myth of scarcity—You should be so lucky to get the chance to pay us six figures’ worth of tuition to attend—and tend to highlight carefully curated data, such as the number of applications they receive, to suggest higher ed is still a growth industry. But more applications does not mean there are more college applicants generally, just that students are applying to more schools. In fact, last semester there were 1.9 million fewer students enrolled in higher education programs than there were in the fall of 2011. The public can be forgiven for falling for this sleight of hand because, for half a century, the story that colleges are still peddling was actually true. Higher ed’s boom years began after World War II, as the G.I. Bill pumped money—and students—into the industry and the labor market demanded more college-educated workers. Between 1950 and 1990, the number of colleges and universities in the United States almost doubled, and the number of students increased from nearly 3 million to more than 13 million. The baby boom and the entrance into the workforce of large numbers of women only supercharged the growth. In 2010, the population of college students in Boston topped 150,000 for the first time. Then the birth rate in America, which had already ebbed to below replacement level in New England, took a nosedive during the Great Recession of 2008, and it’s never recovered. “The Great Recession did not simply delay births—it eliminated them,” Grawe wrote in his 2017 book, Demographics and the Demand for Higher Education. This “birth dearth,” as Grawe called it, set a time bomb with an 18-year fuse. The result is that by 2029, the number of students graduating from New England high schools who are likely to attend four-year institutions will be 24 percent lower than it was in 2012, according to Grawe’s forecasts. In other words, colleges will be drawing on a much smaller pool of customers. The new college competitors treat their students as the product (instead of as the customer) and shape them into something employers actually want to buy. To be fair, colleges are giving back an inordinate amount of their tuition revenue in the form of grants and financial aid, and state appropriations for public universities were slashed by 44 percent per student between 2001 and 2013. That said, there’s simply no getting around the fact that colleges and universities themselves are largely to blame for unaffordable tuition and the industry’s spreading financial malaise. When all the demographic and economic trends were in their favor, colleges happily jacked up tuition, and parents kept paying. Federal financial aid programs were supposed to make college more affordable by giving money to students, but may have had the opposite effect. Some economists, including experts at the Federal Reserve Bank of New York, have argued that when colleges noticed their students had more money to spend in the form of guaranteed loans, they simply kept raising prices. Perhaps as a result of the skyrocketing costs, many would-be students are deciding against college, or having second thoughts even after they’ve begun. 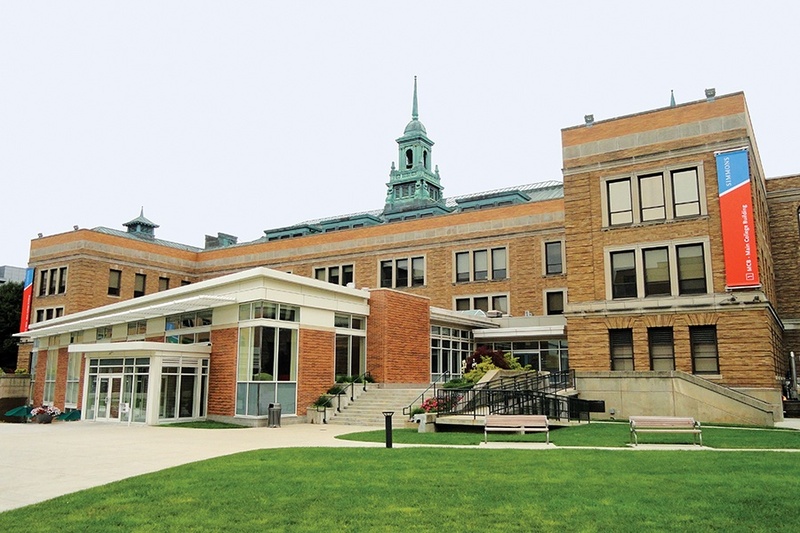 One of the factors that helped sink Mount Ida was that between the spring and fall of 2013, a significant portion of the freshman class decided not to return. As if on cue, leaner postsecondary options have sprung up in the form of boot camps, certificate programs, and online four-year- degree programs, all of which are poised to break the academy’s lucrative monopoly on access to the middle class and the American Dream. Their central pitch is that they’ve turned the business model on its head. Colleges, like beach resorts, invest heavily in fancy buildings and amenities to attract customers, but these new competitors treat their students as the product (instead of as the customer) and shape them into something employers actually want to buy. I saw this play out firsthand when a friend of mine was in his twenties. His parents spent around $200,000 on an elite college education. When he graduated (with a 3.8 GPA), he got a job working long hours for $40,000 a year at a tech startup. “I didn’t know where my career was going,” he says. Then he convinced his boss to foot the bill for a $10,000 coding boot camp. After the three-month course, he returned to the same company as a web developer, making $80,000 a year. It doesn’t take a finance degree from a fancy college to figure out which of his education investments produced a better return. Other colleges, in the face of an eroding financial position, respond by spending even more to attract new students. But their investments often only make their problems worse. The Hechinger Report, an education-news outlet, found that since 2012 colleges and universities have created more than 40,000 new degrees and certificates. 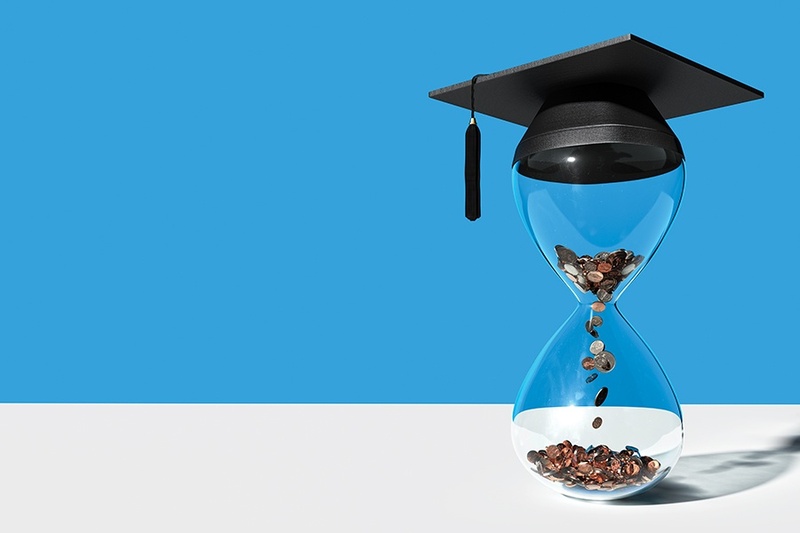 An analysis by Eduventures, another higher ed consultancy, found more than a dozen virtually empty degree programs, racking up costs but generating little revenue. In 2016, for example, 15 schools with recently added casino management majors produced a grand total of 34 graduates. The first economic impacts we will see from the college downturn are significant layoffs in the higher education sector. Colleges and universities find themselves stuck in a double bind. If they invest, they drive up the costs that are sending some careening toward insolvency. But if they don’t, students stop showing up. It doesn’t help that their customer base is, ultimately, a bunch of fickle 18-year-olds who like shiny objects. 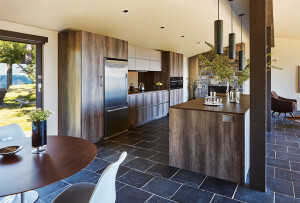 Just take a look at the massive multimillion-­dollar dorms sprouting up around town. “That’s the way they’re competing,” Harvard Business School’s Christensen says. “It’s not who has the best courses but who has the best dormitories.” Vedder derisively calls the university building spree the “Edifice Complex.” Fancy student centers and athletic complexes only add to students’ shock once they graduate to the real world, when many can’t afford a membership to the YMCA. The president of Newton’s Lasell College, Michael Alexander, has spent the past decade obsessed with the financial structure of an undergraduate education, which he considers to be the single biggest problem facing higher ed. He is a member of a small group of innovative college presidents who are cost conscious and not particularly troubled by flouting academic convention. Not surprisingly, many of them hail from the private sector. After a career in media, entertainment, and tech, Alexander assumed the presidency of Lasell in 2007 and quickly got to work cutting costs. He sold the services of Lasell’s in-house IT staff to another college to offset his technicians’ salaries; shared some athletic facilities with nearby Brandeis University; and fired his health insurance carrier to pool resources with other colleges so they could insure themselves. But he was still far short of his goal of delivering an undergraduate education for 30 to 50 percent less than the typical cost. So last fall he launched a program called Lasell Works, a novel hybrid of traditional and online education, with students spending their sophomore year living off-campus, working part time, and taking all of their courses online. The savings amount to a $22,000 reduction in total tuition. Last year, Lasell gave every admitted freshman the option to enroll in Lasell Works. “We were hoping 22 would sign up,” Alexander told me. Instead, nearly triple that number opted in—more than 15 percent of the fall 2018 freshman class. That level of enthusiasm has to make you wonder if more students would be eager to see a re-coding of the traditional college DNA—even if the old hands of higher ed aren’t. Her discovery of a budget shortfall provided Drinan with a key insight: An undergraduate program on its own is a barely viable proposition. It “breaks even at best,” she tells me. Graduate programs, on the other hand, have less overhead and attract working professionals who are not only more willing to pay the full sticker price for their education but don’t require food and housing. The problem was that there weren’t enough potential grad students in New England. So, she took the programs online. At first, she says, she got “fierce pushback” from the school community. “You’re going to ruin Simmons’ reputation,” she remembers alumni and donors telling her. But there was no arguing with the money that the online courses were producing—$26 million in net revenue last year. Simmons isn’t the only college seeking to grow outside its local market. 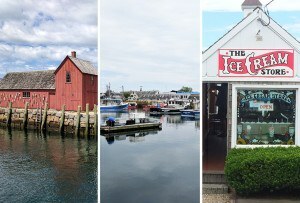 Some New England institutions with deeper pockets are doing it in brick-and-mortar form. Middlebury College acquired and rebranded the Monterey Institute of International Studies, which gave the school access to a new market of students and donors. Northeastern University built satellite campuses in Charlotte, a white-collar boomtown where the school sells locals career-advancing degrees, in Silicon Valley, and in Seattle. It also crossed the border, opening a campus in Toronto. According to data collected by the Cross-Border Education Research Team at the State University of New York at Albany and Penn State, 61 American colleges are tapping into foreign student markets by building campuses abroad, 17 of which are in China. Other schools are confronting the looming crisis by implementing innovative programs to address students’ fears about graduating with crushing debt or failing to land a job. In 2016, Purdue University rolled out Income Share Agreements, under which students agree to pay back a percentage of their income to the university for about 7 to 10 years after graduating, which decreases the amount of loans. The ISAs reassured students that they wouldn’t be servicing mountains of debt on barista wages, and forced Purdue to take an interest in setting them up for successful careers. Meanwhile, DePauw University, in Indiana, guarantees its students that if they don’t have a full-time gig six months after graduating, the school will get them a job itself. 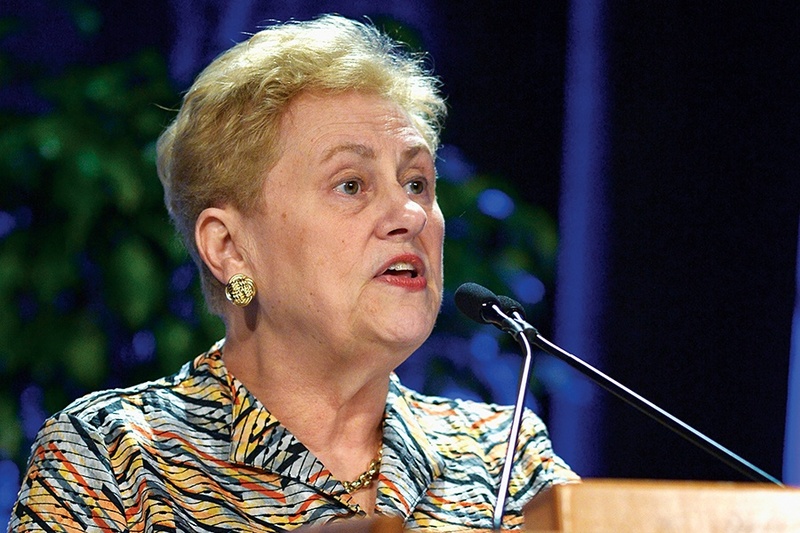 “It puts schools’ incentives squarely behind the students’ incentives,” Horn says. Back on Simmons’ campus, Drinan’s can-do attitude and sanguine view of the school’s prospects made me wonder if she was ignoring the problems in the broader landscape. But when I asked her if she believed in the prediction of an imminent wave of college closures, she put my question to rest immediately. “I absolutely believe it,” she said. “Who’s going to succumb?” I asked. “Not Simmons,” she said, breaking out in laughter. Although the coming downturn is top of mind for higher ed insiders, there has been surprisingly little discussion of it in political or economic circles. Worse yet, to date, no one—not the state, the city, or the dozens of higher ed institutions that may be affected—has conducted a rigorous study of the broader economic impact of the looming crisis. There seems little doubt, however, that in a town as dependent on higher ed as Boston, the impact will be significant. With everyone else seemingly asleep at the wheel, I enlisted some economists to do some back-of-the-envelope estimates. What they found isn’t pretty. The first economic impacts we will see from the college downturn are significant layoffs in the higher ed sector. If Grawe’s predictions hold, Rothwell, the Gallup economist, says that we could reasonably expect a 10 to 15 percent reduction in Boston’s 165,000 higher ed jobs. Worse still, according to the labor-market data firm Emsi, every higher ed job in Boston creates 0.7 jobs in other economic sectors. That means we could lose a total of 28,000 jobs under the more conservative 10 percent estimate. At that same rate, Emsi also estimates a $1.7 billion loss in direct economic activity, and a loss of $112 million in tax revenue. Retail, real estate, healthcare, and various white-collar services would be hit especially hard. Then there’s the matter of the higher ed industry’s most valuable product: graduates. In a 2015 study, Rothwell found that every college graduate was worth an incremental $278,000 to the economy, compared to a high school graduate, just in the form of extra spending at local businesses. For every college grad the area loses, we lose that much cash as well. The loss of talent—the lifeblood of Boston’s knowledge-based industries—is harder to quantify, but no less worrying. Fewer graduates means fewer high-value workers. That would pose a serious problem for Boston’s economy, considering that our human capital is what lures big employers to set up shop here. Of course, a reasonable person could look at Boston’s economy—or even the local higher ed sector—today and push back against the doom-and-gloom predictions. After all, the number of higher ed jobs in metro Boston has actually increased every year but one since 2012. But what many experts would say to all those reasonable people is: Just wait. And also: Brace yourself. The 18-year fuse lit by the Great Recession’s “birth dearth” is still burning; the bomb goes off in 2026. That’s when we go from the waning demand of today to the bottom falling out and the industry being in free fall. The closures of small institutions are a warning sign, like the tide racing out before the arrival of a tsunami. And those signs continue to appear. As I finished work on this story in December, Brookline’s Newbury College announced that the spring 2019 semester would likely be its last. A now familiar ritual began. Neighboring schools swooped in like vultures to whisk away Newbury’s most valuable remaining resource: its paying students. That might not have been the most reassuring choice of words, considering the very real risk of closure facing the region’s small colleges. 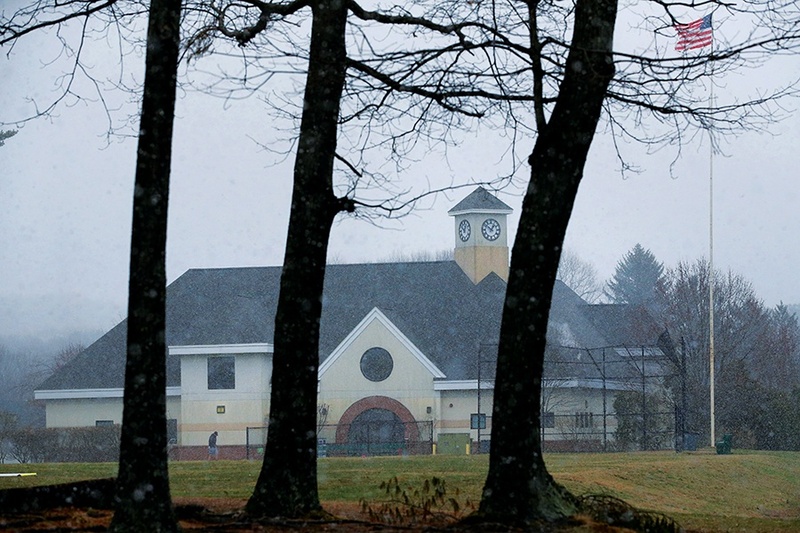 What Newbury students—including one unfortunate young woman who had transferred there from Mount Ida—likely want to know is not just where their college education will continue, but where it will end.